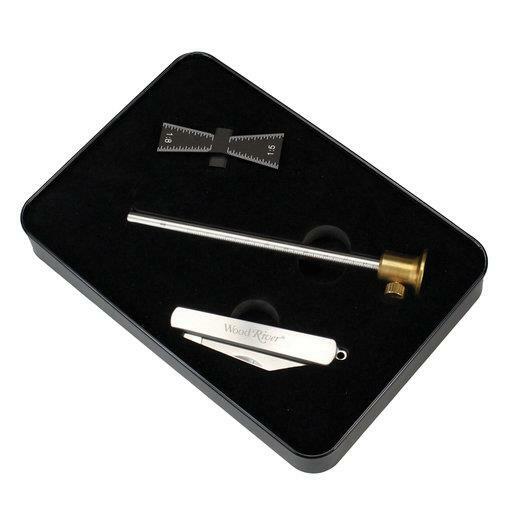 Our WoodRiver® 3-Piece Marking Set is the perfect gift for any woodworker looking for high quality stainless steel marking tools. Of course giving to yourself is also allowed! all packed in a beautiful black metal container. 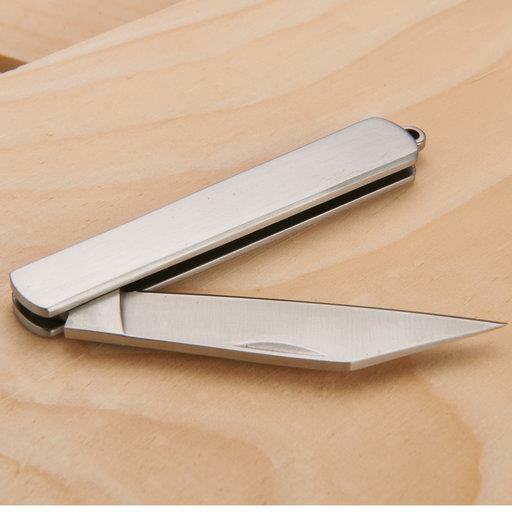 The WoodRiver® Stainless Steel Folding Marking Knife features a pointed edge that can be used for scribing. The blade measures 63mm (2-1/2") in length, while the knife measures 90mm (3-1/2") in a closed position. One end of the knife is machined with a ring on the end, so it can be added to a key ring. The stainless steel WoodRiver® Wheel Marking Gauge has a single bevel edge wheel that scribes a fine line without tearing the wood fibers and does not wander with the wood’s grain. A precision ground brass shoe glides against the edge of the workpiece, and the knurled brass knob makes adjustments quick and easy. Overall length is 152mm (6"), with a working capacity of about 125mm (5"). 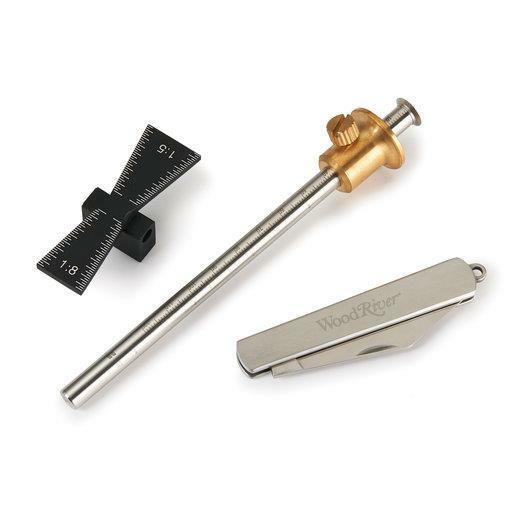 Our WoodRiver® Dovetail Marker is a very accurate and handy tool to have in the shop. It easily marks dovetail lines with its 25mm (1")-long wings and offers two ratios: 1:5 for softwood and 1:8 for hardwoods, making the daunting task of marking and cutting dovetails by hand easier.